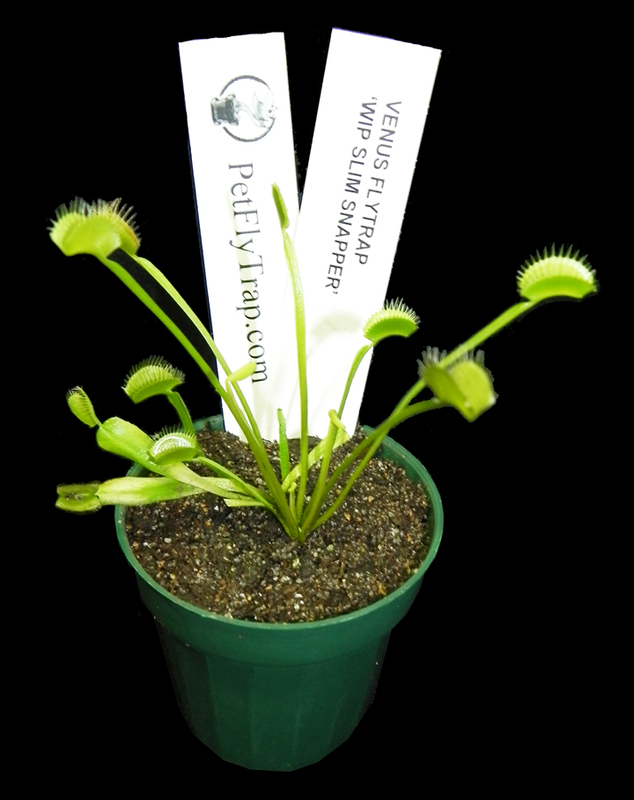 Another very unique cultivar of flytrap, 'WIP Slim Snapper' is similar to most flytraps in color and trap shape. But what makes these stand alone is the long, dainty leaf blades and smaller traps. These are an 'oldie' too, originating from World Insectivorous Plants, a long-gone carnivorous plant supplier from decades ago. Own a piece of history! Smaller plants in 3-inch pots and ready to grow, not bareroot as you find with many other suppliers. Water and enjoy!